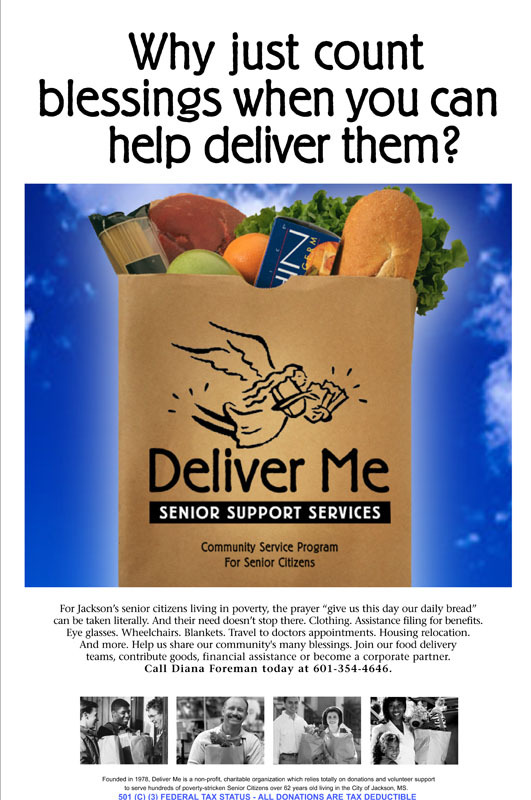 Founded in 1978 as a "Community Service Program for Senior Citizens," this Jackson-based group was in need of a brand overhaul that better communicated their mission. 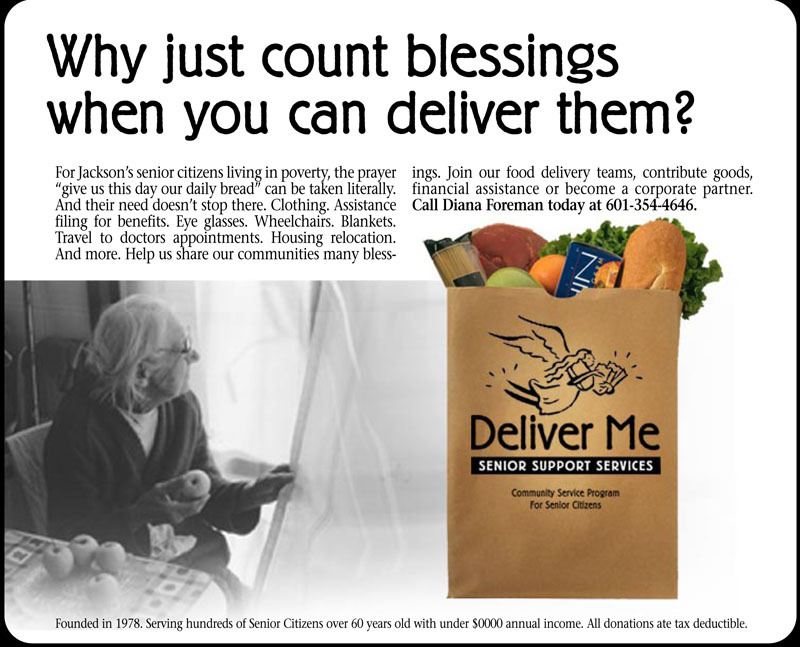 They deliver food boxes and goods to disadvantaged seniors, while providing assistance with life needs. We produced branding and advertising for the organization including identity, website, correspondence materials, and ads. Brochures were handed out in small paper bags with a request to fill them with pocket changes as a donation.